Come and discover the "New Generation" Campanile! Whether for leisure or on business, you will be right at home. 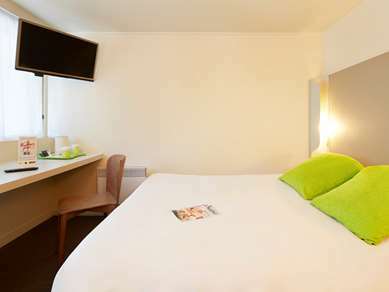 This 3-star hotel has comfortable and well equipped rooms: flat screen, private bathroom, and high quality bedding await you, and everything is elegantly decorated. A courtesy tray with a kettle with tea, coffee and biscuits will be waiting in your room to welcome you. Campanile Orleans Centre Gare also has a bar where you can relax at any time of the day. Free, unlimited Wi-Fi is available throughout your stay, in the rooms as well as in the hotel's public areas. 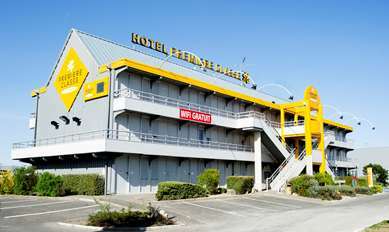 The hotel is ideally located in the historic heart of Orleans, and close to the city's major attractions and events. Its location is ideal if you want to explore the city of Orleans and its surroundings. Orleans is a "ville d'art et d'histoire", part of a UNESCO World Heritage Site (Loire Valley), and has one of richest histories in France. There is something going on all year long thanks to its Scène National theater, and its music events such as Orleans Jazz and the International Piano Competition. Orleans is also a dynamic industrial center. 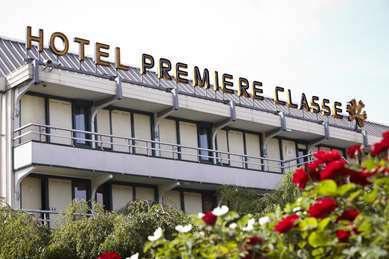 For vacations and business trips, our hotel has a 60 m2 meeting room accommodating up to 30 people. Bright and fully equipped, it can host your business seminars or meetings. 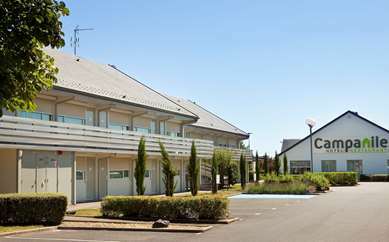 Campanile Orleans Centre Gare has 47 warm, modern rooms. 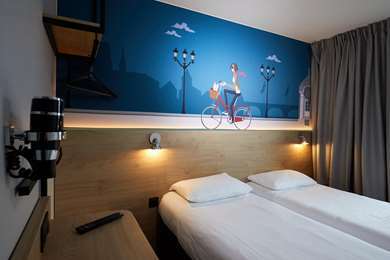 Each of these 3-star rooms has luxury bedding, a desk, a flat screen TV with Canal+ and a private bathroom with shower or bath tub. There is unlimited free Wi-Fi. All the rooms were renovated in 2016 as part of our "New Generation" concept. A buffet breakfast is served every morning in the dining room of the Campanile Orleans Centre Gare. From the North: take A10/E5 (l'aquitaine). Take exit number 14 and continue along D2701 and continue on 4.2 km. Enter Saran turn right Rue Nationale 20 and continue 100m. At the roundabout, turn left rue Andre Descaux. Enter Fleury les Aubrais and continue 1.6 km. At the roundabout, exit Fleury les Aubrais and enter Orléans. Roundabout, turn left Avenue de Paris continue 1.4km. At the roundabout, turn left on Boulevard de Verdun and continue Boulevard Alexandre Martin. Park the car and finish on foot. From the South: take A71 and take A85 (Paris, Orléans). Take exit number2 (Orléans la source) and continue along 2 km. Enter Olivet and continue 1.9 km. Turn right (Orléans centre) 900m. Carry straight avenue de Sologne and continue 2.2 km. Exit Olivet 500m, enter Orléans and continue 4.6 km, turn right avenue de Verdun, bd Alexandre Martin, park the car and finish on foot. From the East: take A5/E54, take A19 (Sens, Provins, Orléans), take E60. Take A10 (l'aquitaine) and continue exit 14 and continue D2701 exit Fleury les Aubrais, enter Saran, turn right rue Nationale 20. At the roundabout, turn left rue Andre Dessaux. From the West: take A10/E5/E60 (l'aquitaine). Take A71/E9 (Orléans Centre) and continue 700m. Enter la Chapelle Saint Mesmin. Taxe exit number 1 and continue Av Georges Pompidou and continue 900m. At the roundabout, carry straight on Av Georges Pompidou and continue 400m. Turn left street on 600m (N152). Pass St Jean de la Ruelle and continue 2 km. Enter Orléans 600m, turn left, turn right D2020 Orléans Centre. Turn right Bd Verdun, Bd Alexandre Martin. Park the car and finish on foot.